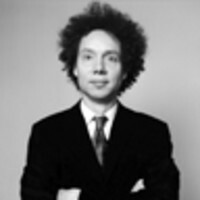 Inspired by his latest book, Outliers, Malcolm Gladwell shares his favorite books that feature outliers of one kind or another. Ever since writing Outliers, I've been a sucker for books either about or by people who are on the fringes of society—either by virtue of their talent or their beliefs. Here are a couple I've read recently. This is a book from many years ago, that I stumbled across by accident. It's about a small town in the southeast corner of France, that openly sheltered Jews during the Second World War. The residents were almost all Hugenots, and they refused to lie about what they were doing. If the Nazi asked them if they were harboring Jews, they would say yes. And if the Nazi asked them where the Jews were, they would simply say—"I can't tell you." It’s an extraordinary story, and a reminder that in the face of courage and commitment there is very little even the most vicious and powerful of adversaries can do. This may seem a strange book to lump in here. But Keith Richards turns out to be an extraordinary character. I knew the Rolling Stones music, of course. But I only had the dimmest impression of him. And he turns out to be far more of a musical genius that I had imagined, far more intelligent and thoughtful than I had imagined, and far more insane than I had ever thought possible. I really started this book by accident, and then couldn't put it down. He's really one of the great cultural characters of the 20th century, who was perfect for his time and place and perfectly matched with Mick Jagger (despite the fact that Richards takes one passive-aggressive shot after another at Jagger throughout the whole book). This book came out 50 years ago. But it’s a treasure. It’s the story of one of the oddest characters in American history. Stevens was one of the most prominent politicians of the Civil War era, and an ardent defender of the rights of the newly freed slaves. He was also an ornery, obnoxious cuss, almost universally loathed by his contemporaries. A lot of good in the world comes from people who seem, at the time, to be reprehensible. It's an important thing to remember, I think.